SAN FRANCISCO -- Police are hoping surveillance video will help them locate homicide suspects connected to a shooting that happened nearly seven months ago in San Francisco, in which two people died. 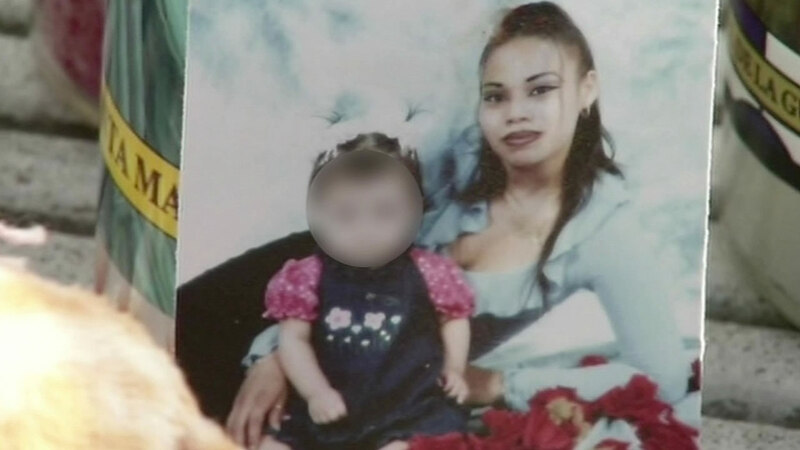 On Tuesday, Jan 27, just after 4 p.m. on the 1700 block of Ingalls Street, 32-year-old San Francisco resident Maria Soza was fatally shot while watching her children play in front of her home, according to police. Investigators believe the woman was likely running to protect her children as gunshots were fired in a nearby drive-by shooting, police said. In the drive-by shooting, 38-year-old San Francisco resident Donte Glenn was fatally shot and a 44-year-old woman was shot, but survived, according to police. Investigators have collected footage from several surveillance cameras in the area. Investigators believe the primary persons of interest were inside a black truck, likely a Dodge Ram, seen in the video. Anyone who recognizes the suspect vehicle is asked to contact lead investigator Sgt. Chris Canning at (415) 734-3634 or chris.canningsfgov.org. Callers who wish to remain anonymous can call (415) 575-4444 or text tips to TIP411 with SFPD in the beginning of the message.